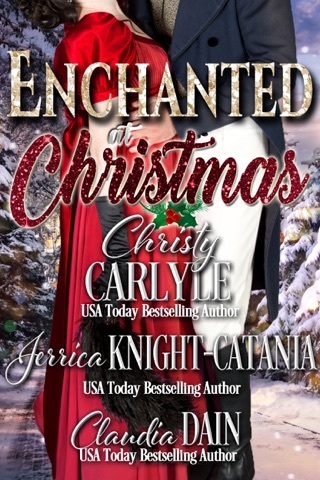 As a huge fan of historical romance, I don’t know how I’ve let the works of author Christy Carlyle escape my radar. Her latest novel, One Dangerous Desire, is the third in her Accidental Heirs series (yet easily reads as a standalone!) and I know it will not be the last of hers I read — especially since I’ve already added the first two Accidental Heirs novels One Scandalous Kiss and One Tempting Proposal to me e-reader). Rex Leighton emigrated from America to England, reinventing himself and quickly earning a fortune in the process. On the brink of achieving his greatest professional goal, Rex determines an aristocratic bride will help him achieve acceptance by society. 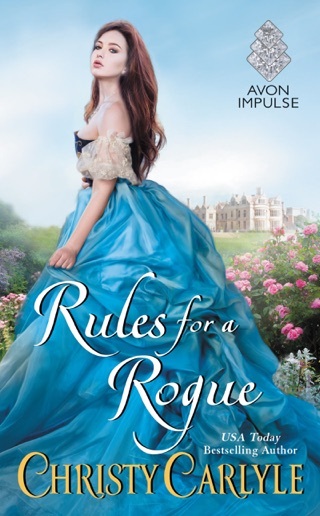 The fact that his potential financial investor, the Duke of Ashworth, has a marriage daughter only strengthens his resolve to marry — until he’s introduced to the lady’s closest friend, American heiress May Sedgwick. Rex knows May all too well — he knows the sound of her laugh, the feel of her kisses and the pain of denying their love. May Sedgwick originally moved to London in order to fulfill her late mother’s desire for her to marry a nobleman, a task she no longer pursues with excitement. May prefers her burying herself in her sketchbook and designs to prowling the drawing rooms of the aristocracy seeking a titled husband. Fate intervenes and forces May to consider marriage sooner rather than later. Unfortunately, no member of the English aristocracy stirs her passion as much as her fellow American, Rex Leighton, i.e. the man who broke her heart. An ill-advised wager soon pits May and Rex against each other, each stubbornly circling warily around their obvious attraction and connection. During the course of wager Rex and May both blossom as characters, becoming more confident and playful as they spend more time in one another’s company. Rex and May both must endure serious introspection before they can come to terms with their shared past –– and embrace the possibility of a joint future. Rex thought leaving May was in her best interest, her father’s wrath helping persuade him of his own unworthiness. Rex must decide of he is willing to let a chance at a life with May slip away again to “protect” her, wondering at what point does his own heart’s desire outweigh other concerns — and May’s desires as well. May must search for the ability to forgive Rex and find the strength to move forward. He had been the only person in May’s life that truly understood her passions and supported her, thus she was blindsided by his betrayal. May’s determination and intelligence make her a likable character, and the fact that Rex appreciates and is emboldened by these compelling traits make him even more appealing. Rex’s belief in May and support of her non-traditional pursuits overshadow his flawed tendency to “protect” May without her input. The dynamic of the relationship is very refreshing yet still appropriate to the time period. In One Dangerous Desire, author Christy Carlyle manages to take a couple whose happy ending seems hopeless and instill the protagonists with so much faith and depth of affection that hope radiates off the page by the end. Readers are taken on a fun, touching and emotional journey.